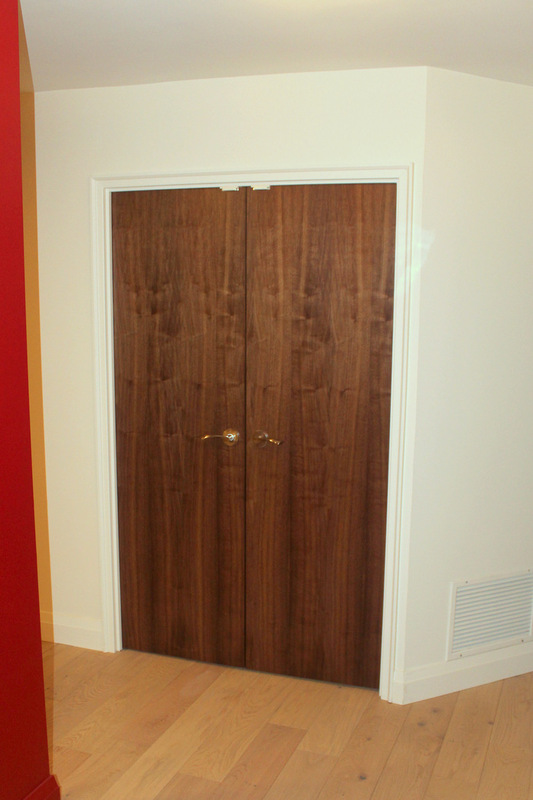 These doors are in a high traffic area, so we wanted them to be maple instead of pine. 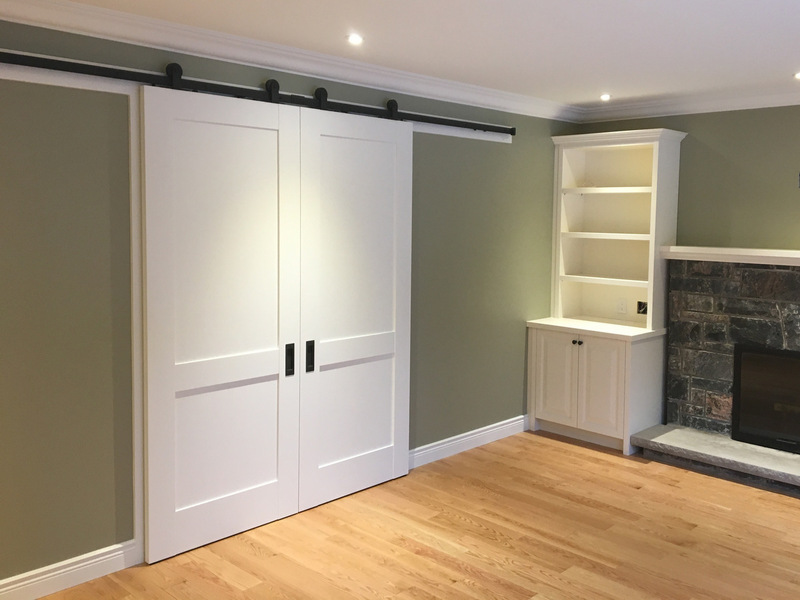 The client specified a brushed finish for the paint, so you don’t notice the grain difference; but the difference in durability is huge. 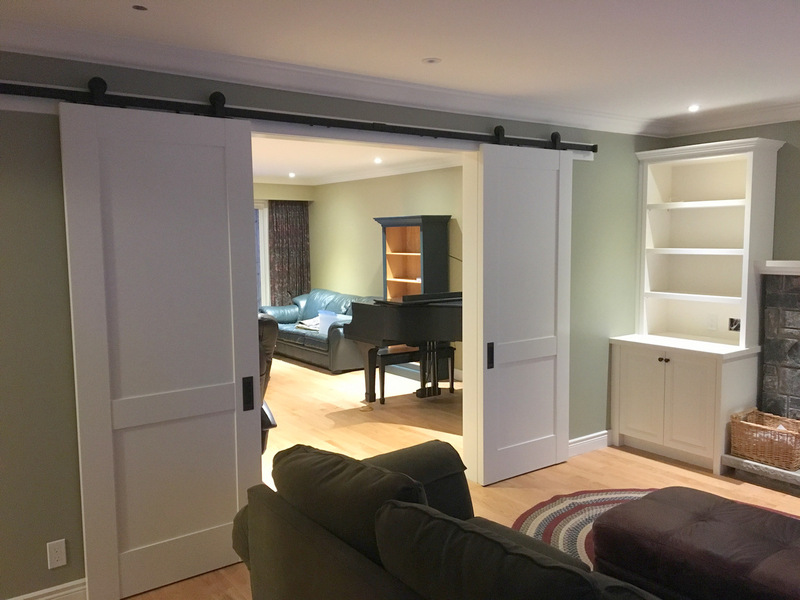 Making the doors ourselves we were also able to address visual elements like the slightly setback rails, creating subtle but pleasing visual texture at the transitions. 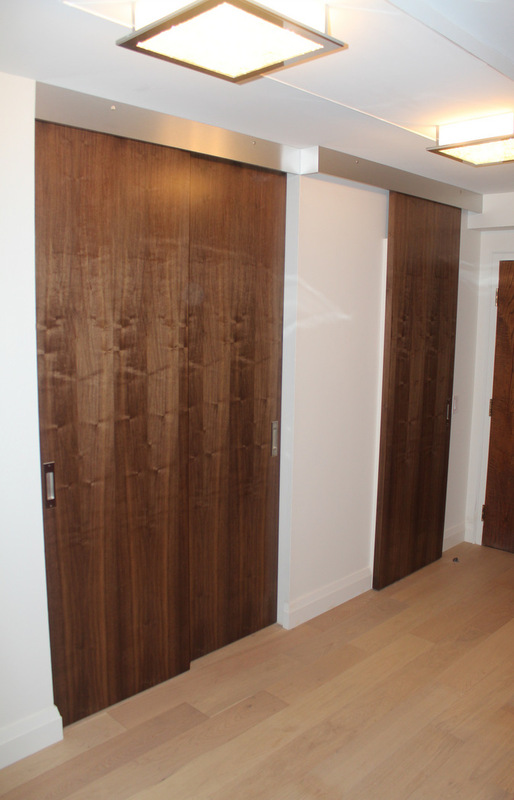 We made these architectural doors for clients in a condominium to match their walnut kitchen. 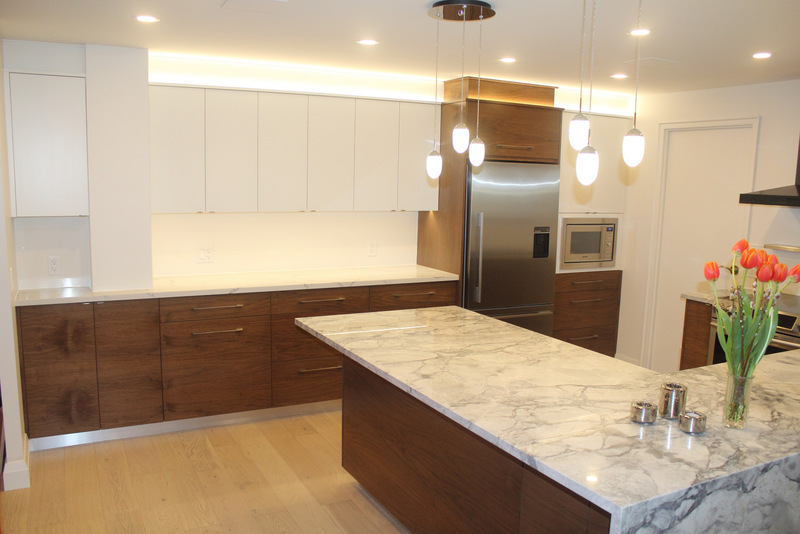 We found that we could deliver a better quality product for the same price as the big commercial door manufacturers, giving solid walnut edges instead of thin veneer, as well as flitch matching the grain to the millwork (as per photo of kitchen). 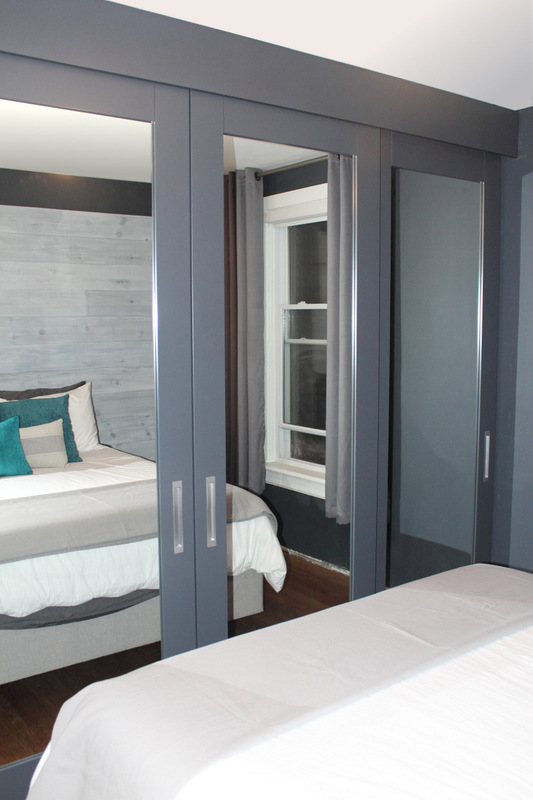 We made these solid maple doors to fit the span of the clients’ room. The HAWA slides and Halliday+Baillie pulls make it a sweet experience just to open and close the doors. 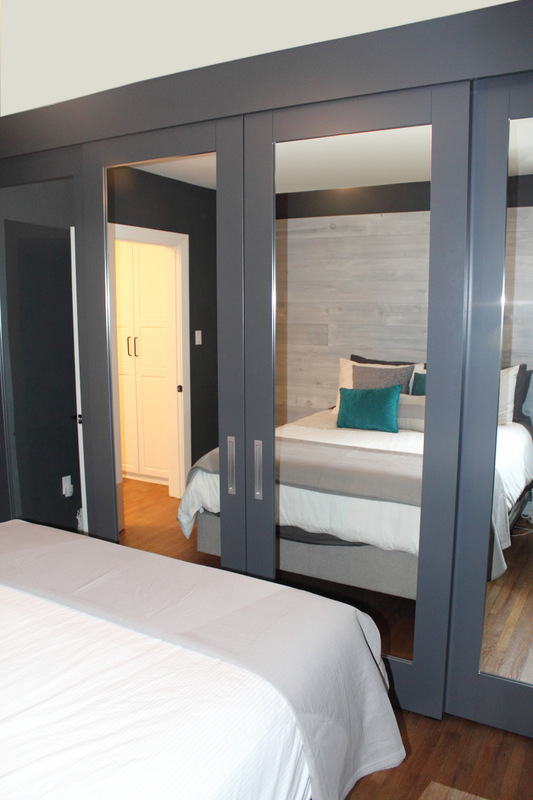 Finished with low VOC waterborne lacquer, the clients specified the colour to match their palette.